Home » Other » FREE Sample Round Up SENT Directly TO YOUR INBOX! Many free samples RUN OUT FAST! So you want to be the 1st to get them. Thanks for making it so easy to see and try products for free. It’s hard to stay on budget and I love that you make it easy to watch our pennies!!! that all to get free stuff, only you ask for email? where is that contest to win? I would love any freebies i get. Can I have a free samples too? So fun! FINALLY a good giveaway/sweeps person. I’m excited! Thanks for all your help and all the work you put in to helping all of us receive free items. You ROCK !!!!!!! I love your shop with me video! Fantastic shopping trip, you encourage me to keep trying! It’s not something you can get overnight. Thank you so much! Thank u for ur help on getn all the freebies! So helpful. Thank you for all your hard work to help us. I Would Love To. Win! Hello, this is my first time commenting on a video ever yay! 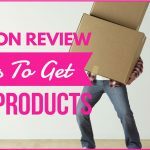 I enjoy watching all your videos and would love to win your freebies! Have a wonderful day!